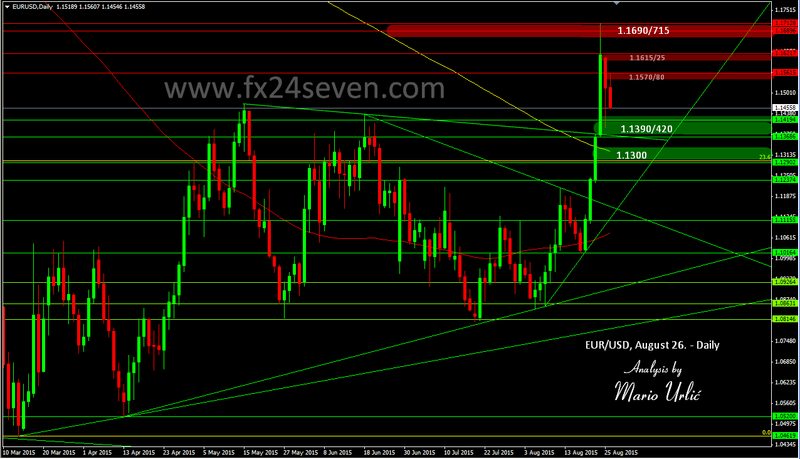 EUR/USD, the shock is still there! EUR/USD is in the selling pressure mode for the last two days, searching for the buyers at aprox 1.1400 and they are there. As I see this, the market players are still in some kind of shock, they didn’t expect this on EUR/USD and they don’t know what to do now!? Who was talking about huge ‘up move’ here beside me, nobody! Ok, here we are two days latter, almost 300 pips lower from the Monday’s high, still not sure where is the new strong support. As I already wrote yesterday, I see that the buyers are placed here at aprox 1.1390/420, to 1.1450 and I can’t see what news could brake this lower then 1.1300, which would also be surprise. On that level could be long stops now, the bears would like to take that for sure, could they manage to do that? The market is nasty, everything is possible. Be carefull and protect your positions, these several days after the unexpected move could be dangerous.